It has taken me awhile to recover from 3 trips to Seattle in 3 months. Also, My granddaughter was taken to ICU on Tuesday and that has been my focus this week. She is still there with RSV. One lung is good and one isn't as of this morning-so she is gradually getting better. I have Tea With Thee coming up on May 4th which is a tea for about 140 ladies that benefits the pregnancy center in Ramona. The last 2 years we have raised about 5,000.00 for the center, hopefully we will come close this year. I have been focusing on getting my part done for that effort right now, then I can work on my part of the women's retreat that comes up on the 1st of June-then I am taking myself to Julian to rest, sew and write! I spent the day at The Crazy 9 Patch helping the owner, Martha, choose fabrics for Enchanted Autumn by Verna Mosquera which is our opportunity quilt for 2014. We had fun-she is a crazy lady-the Patch is aptly named. The quilt is going to be beautiful. Verna sent a very nice note with permission to use the pattern for our club. I have been working on the Beauty and Check quilt and am making progress. The Empty Square in the top left will be filled after all the other pieces are completed-it is a complete circle made with 4 identical quarters so I want to see what colors I need to unify the quilt. 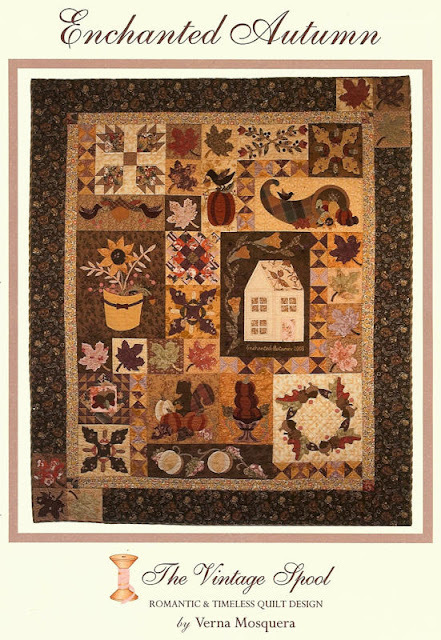 It is 5x5 rows and instead of putting a black and white border, I am going to add flying geese to the top and bottom so that it is a rectangle instead of a square. The background is a black star Laurel Burch fabric and I found a great cat fabric-also Laurel Burch-that has the bright colors of the New York Beauties. We'll see-New York Beauties, Flying Geese and Laurel Burch cats-what is the common denominator? Can I make it work? Stay tuned as there is definitely more to come on this subject! Dear Jane Tomorrow-Yay! I love Jane Days! Your Beauty and Check blocks are gorgeous! I am sending prayers and positive thoughts to your granddaughter.